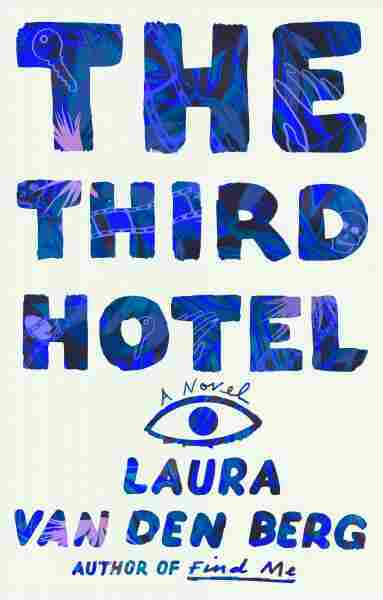 'The Third Hotel' Will Get Under Your Skin Laura Van Den Berg's new novel follows a woman who runs into her ostensibly-dead husband at a Cuban film festival. It operates in symbols and layers, leaving readers disoriented, but fascinated. Most novels begin with mystery. A problem, or a warning. Foreboding, or such happiness that we know there's sadness coming. This is how Laura Van Den Berg started her acclaimed debut novel, Find Me. There was a strange disease, a search for the cure. In her follow-up, The Third Hotel, Van Den Berg flips the script: The first thing she does is tell the reader exactly what she's about to do. You have to be looking, a little. Otherwise, you could mistake Van Den Berg's mission statement for a stray bit of theory. It comes not from Clare, the protagonist, but from Yuniel Mata, the fictional director of Cuba's first horror film. Clare has come to Havana's annual Festival of New Latin American Cinema to watch it, which her film-scholar husband wanted to do, except that he's dead. He got hit by a car five weeks before the book starts, and so Clare is alone to hear Yuniel Mata explain why he makes horror films. This is the key to The Third Hotel. The work of horror, Mata says, is to "take away [a viewer's] compass, their tools for navigating the world, and to replace it with a compass that told a different kind of truth." He goes on to say that the viewer shouldn't notice the replacement. It's "a secret transaction between their imagination and the film, and when they left the theater, those new truths would go with them, swimming like eels under the skin." What does this mean? At first, you have no clue. Compass, eels, whatever. Then, two pages later, Clare goes for a walk in the old part of Havana and finds her husband standing outside the Museum of the Revolution. Her husband, Richard, who is dead. The Third Hotel's new truth is that a person can be dead and not dead at once. Richard isn't a zombie — that would be too silly, and too neat. Van Den Berg doesn't do neatness. She does elegance. She writes with off-kilter beauty and absolute relaxation; the less peaceful a sentence should be, the more peaceful it is. Even her most casual descriptions — "At a small table, a woman in a lunatic print ate a salad and sipped a Cuba libre through a fluorescent pink straw" — strike a balance between craziness and calm. So does Clare. In some ways, she's a difficult narrator. She keeps secrets, mostly from herself. She spends much of the novel carrying around a sealed box she found with Richard's possessions, shaking it sometimes, refusing to open it. She's obsessed with privacy, which she calls "that most essential armor." But she needs that armor, because she's also a compulsive believer. She accepts whatever she's told. Whatever she sees, too. The most obvious example is her dead husband, but there are plenty of others. When a documentary filmmaker tells her to wear dresses, she starts wearing dresses. When she remembers her father telling her every person commits at least one unforgivable act, she begins trying to find, or predict, her own. And while watching Revolución Zombi, she becomes "aware of an eel sliding around under her skin, just as Yuniel Mata had predicted." The eels accompany Clare as she chases Richard through Havana, then to Cienfuegos, to a strange resort-meets-sanatorium called the Cure Hotel. There, the two finally speak, and we begin to wonder whether Clare might be dead, or, as Richard puts it, "beyond [the hotel's] methods." The novel begins to spiral into the metaphysical, or the magical. To me, it starts evoking Pedro Páramo, the seminal text of magic realism, in which all the characters are dead, but mostly haven't noticed. But Clare is devoted to noticing. She's done with privacy. Watching Richard in Cuba, she's "certain she had never noticed him so thoroughly. Radically alert and radically alive and why on earth had she waited so long to pay this kind of attention." So: Her husband's death plunges her into horror, takes away the internal compass that pointed her toward privacy, and replaces it with a desire for knowledge. This new compass lets her chase him, talk to him, open the literal and metaphorical sealed box of their marriage, and — dead or not — return home. You could read The Third Hotel as an ode to watching. You could read it as a fever dream, a horror movie, a love letter to film theory or Cuba or women who keep secrets. The Third Hotel is a novel that operates in symbols and layers, which means you can read it however you like. There's no one ending, no right answer, and as a result, it will take away your internal compass. It will unmoor you, send you wobbling around your house in a haze. It will slide some eels under your skin. My recommendation? Let it. We can all stand to learn some new truths.